Residents and visitors of Cairns are lucky enough to have two of the world's greatest natural treasures on their doorstep in the Great Barrier Reef and the tropical rainforests - both of which are World Heritage listed. There are few places on Earth where two such treasures rest side by side. The cosmopolitan city of Cairns in the north of Queensland is very popular with visitors and is a gateway to the stunning Great Barrier Reef as well as the lush Daintree Rainforest situated nearby. Lovers of sunshine, beaches and tropical rainforests head to Cairns because of the sheer abundance of adventures to be had in this amazing corner of Australia. The city itself has all the essentials for the discerning traveller be them holiday makers or backpackers, from shopping and restaurants to thrilling adventures you can do it all in Cairns. Once you have found your cheap flights to Cairns, there is a great choice of accommodation to suit all needs and budgets all within close range of the city centre – the hostels and guesthouses are situated around Grafton Street and the main hotels are located further towards Cairns Pier and the Esplanade. 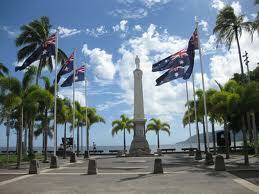 With a vibrant nightlife, Cairns has many eateries, bars and nightclubs and is particularly popular with backpackers. There is no beach in the city centre itself however there is a large outdoor park with a lagoon-style pool next to the pier which is great to cool off and sunbathe during the summer months. Whilst staying in Cairns, you can also travel up the coast to Port Douglas where there are plenty of lovely resorts and stunning beaches. After exploring the city it is definitely worthwhile heading north towards the Daintree Rainforest, stopping in the pretty little town of Port Douglas even if only for a lovely seaside lunch on Wharf Street. Another beautiful stop before you get into the thick of the Rainforest is the picturesque Mossman Gorge. If you take one of the tours into the Daintree then most of these stops are incorporated on yor trip as well as taking you on a few nature walks through the forest as you make your way to Cape Tribulation – where the roads into the forest stop. Once in Cape Tribulation, there are plenty of rainforest activities to take part in such as horse riding, jungle surfing (flying fox), nightwalks and sailing on the Great Barrier Reef to name but a few. We recommend you book well in advance to take advantage of the cheapest flights into Cairns, Australia. If you are flexible and can travel outside of the busiest times of year (particularly over Christmas and the summer holidays), the best offers on low cost flights to Cairns can usually be found. If you're booking a trip on the spur of the moment, Directflights.com can also find you the cheapest fares on lastminute flights too. 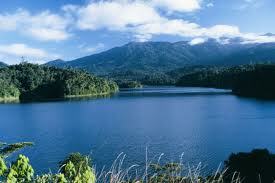 The Cairns region has a fabulous tropical climate ideal for outdoor enjoyment. Cairns has a winter period of balmy temperatures and low rainfall and a summer period of warm temperatures with increased rainfall. The average maximum temperatures are 31.4 degrees celsius and an average minimum of 17.0 degrees celsius.